Black Peppermint ( Eucalyptus amygdalina, MYRTACEAE ). 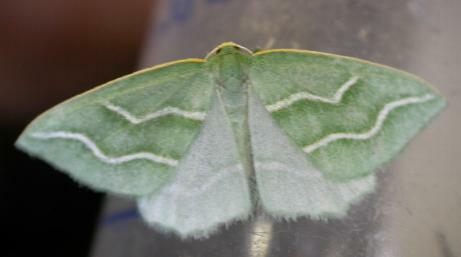 The adult moth has green forewings and pale green hindwings. 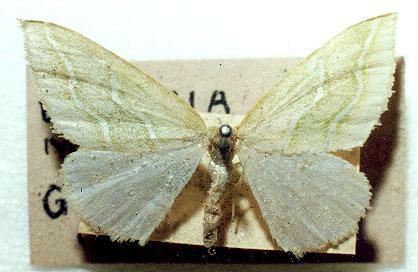 Each forewing also has two wavy white lines across it, and each hindwing has one. The moth has a wingspan of about 2 cms. Moths of Australia, Melbourne University Press, 1990, pl. 11.11, p. 374. Volume 9 (1857), p. 355, No. 554.